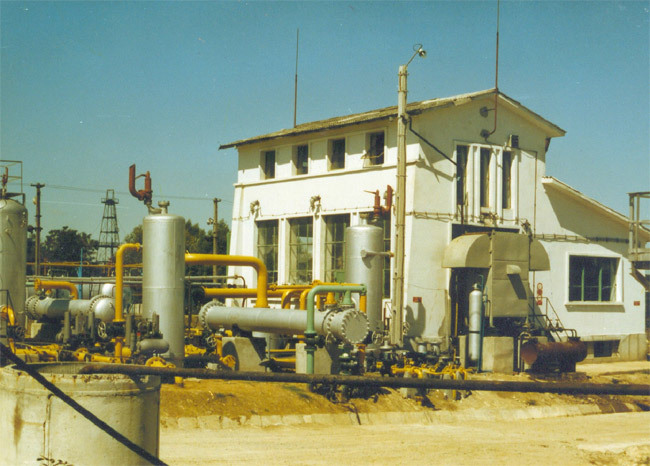 • Rising gas pressure in medium or high pressure pipelines within gas transportation and distribution units. 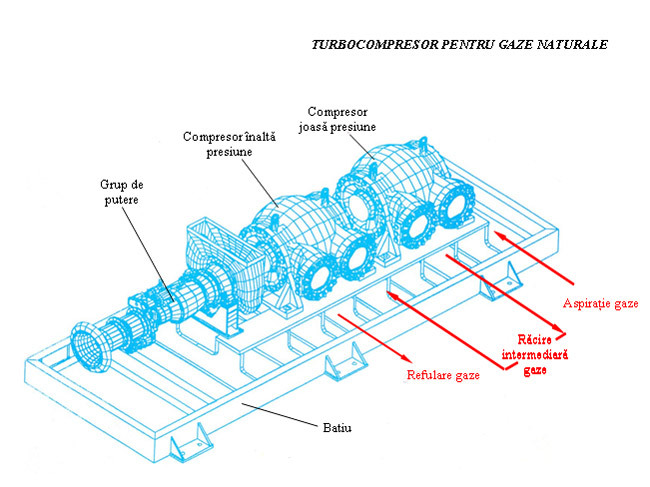 At the moment, there is a supercharger set GTC-1000 within Ţicleni Unit - Tg. 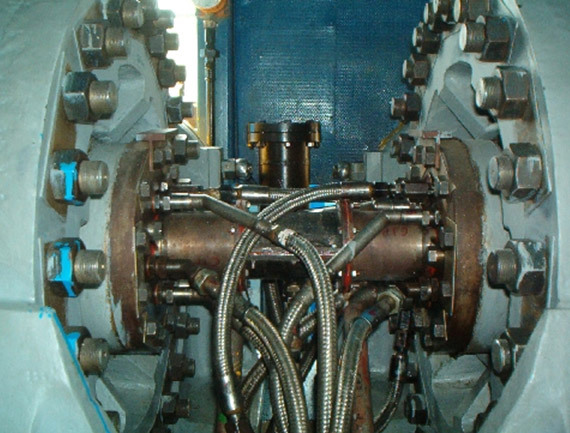 Jiu, that compresses natural gas obtained by extracting crude oil from oil fields in order to deliver it to de-gas installations and/or to high pressure compression installations for gas lift process, used within extraction units or to be delivered in main pipelines. 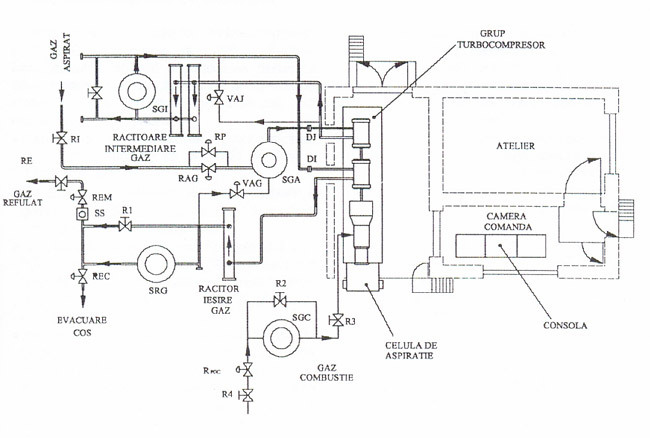 • SGA, SGR, SGC, SGI – fluid fractions separator. * Displaying main oversight parameters of the set. 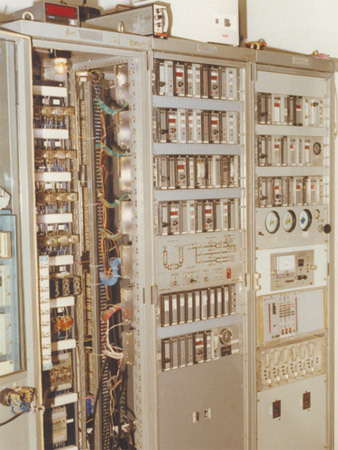 * Data acquisition system that follows on computer the technological process throughout entire compression unit. 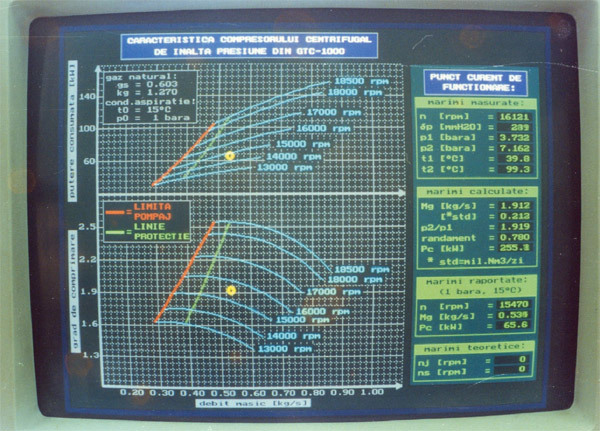 - Aspirated gas pressure 1,5÷1,8 bar abs. - Headed gas pressure 7,0÷7,5 bar abs. • Optional, a heat recovery boiler can be placed on the exhaust of the combustion gases for production of industrial steam or hot water, considerably improving the thermal efficiency of the installation. INCDT COMOTI offers it’s services through highly trained personnel for on time and high quality of revision and repair interventions according to the schedule specified in the exploitation and maintenance specifications, as well as unscheduled interventions in excellent conditions for the beneficiary, insuring installation’s maintenance and usage in appropriate conditions. 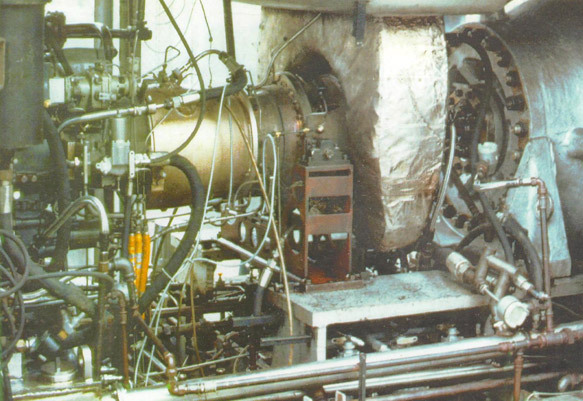 The possibility of upgrading the GTC-1000 supercharger set through equipping it with an type ST18 Pratt&Whitney turbine engine with greatly improved performance is analyzed at the moment. By this upgrade, the supercharger set performance is radically improved. - Aspirated gas pressure 1,5 ÷1,8 bar abs. - Headed gas pressure 10 ÷12 bar abs.